Odense is a leafy place, as is most of Denmark. I don’t envy the street cleaners or avid tidy gardeners, of which there are many around here. Thankfully I love leaves, and at this time of year they come crashing down to earth, within my reach, in a symphony of colour. Nature gives us the gift of a burnt orange and red crinkly carpet. I really can’t stop looking at it and I feel guilty walking on it. At the moment it is almost dangerous. I walk around with my head down and every single leaf catches my attention. The colour, the patterns – all so beautiful and unique. Each leaf is a piece of artwork, one with I plan to dedicate my next few blogs to exploring. Each tree species seems to have it’s own way of loosing green and changing colour. It really fascinates me. Why and how? I will start today with a few of last years pictures, taken within a stones throw from my house. It’s a little windy and wet to venture outside with my camera today (typical autumn weather) so I will reminisce with my hard drive and the wonderful autumn colours until the weather breaks. 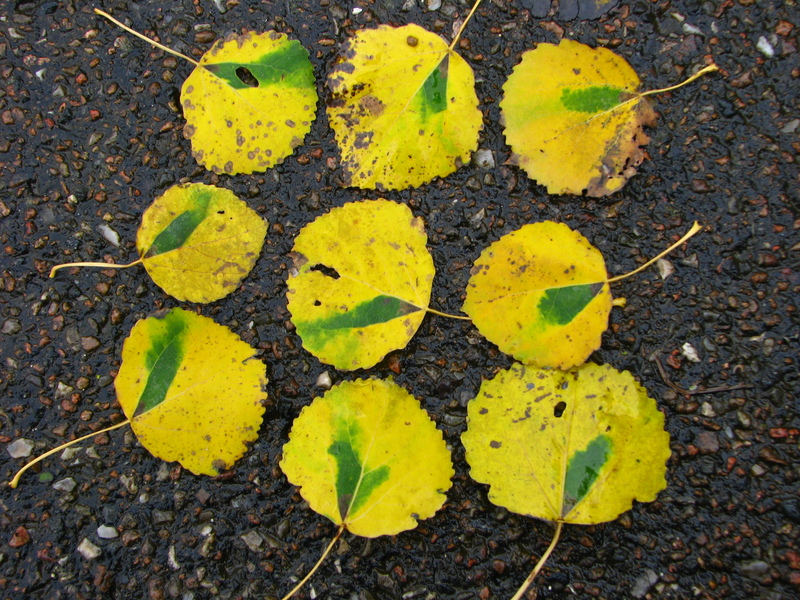 A “poplar” pattern – but I did arrange the leaves. What colours are on your walls? Autumn (or Fall as the Americans call it) is one of my favourite times of the year. The pallet of colour on display all around us is so heart warming. 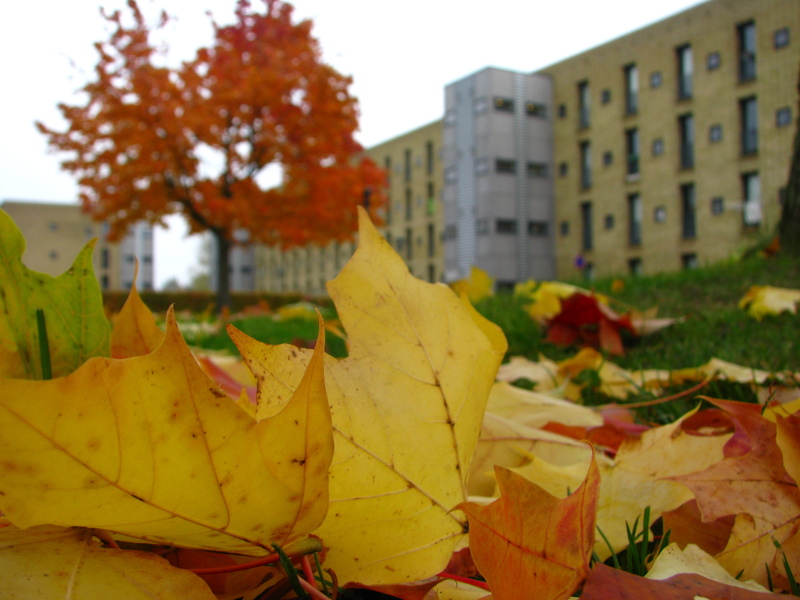 I couldn’t resist getting out and taking some photos of the beautiful colours developing here in Odense. Leaves are the site of energy production in trees. Simply put chlorophyll (green pigment) produces sugar and water from sunshine and carbon dioxide. 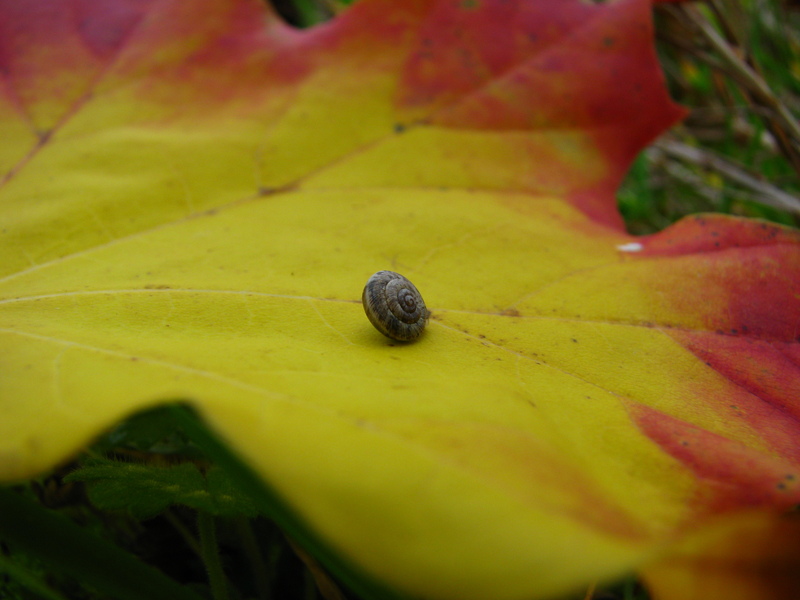 In the autumn as the days get shorter (available sunlight is reduced) chlorophyll production is halted. Trees live off stored sugar supplies over the winter. 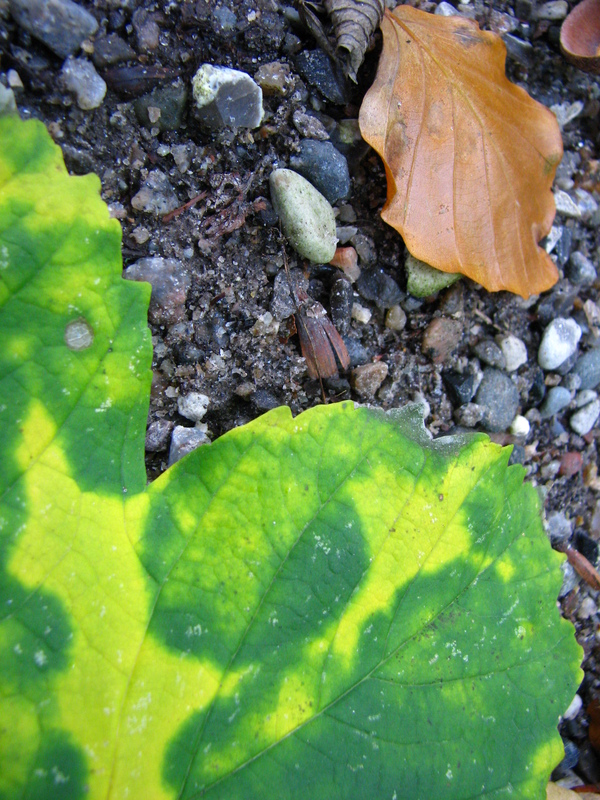 When the chlorophyll production ceases, various coloured accessory pigments are revealed – hence the colour changes. The red and purple colours seen in some trees come from anthocyanin. 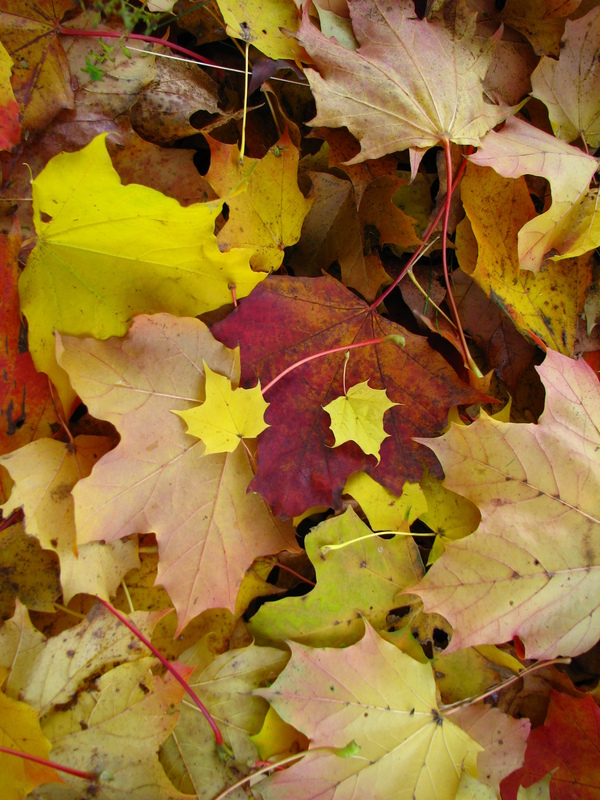 In maple trees these pigments are formed by glucose trapped in the leaves. Some scientists believe this may allow the tree to keep its leaves longer (more frost resistant) so useful substances can be removed before the leaf falls off. Trees with high tannin content (e.g. beech and oak) will produce a dull brown leaf colour in autumn. The high tannin content of acorns and beechmasts provides a bitter taste – which plays a role in protection from predation. Other colours which have been present all along become visible in the autumn. The orange colors come from carotene (also found in carrots) and the yellows from xanthophyll (think bananas). 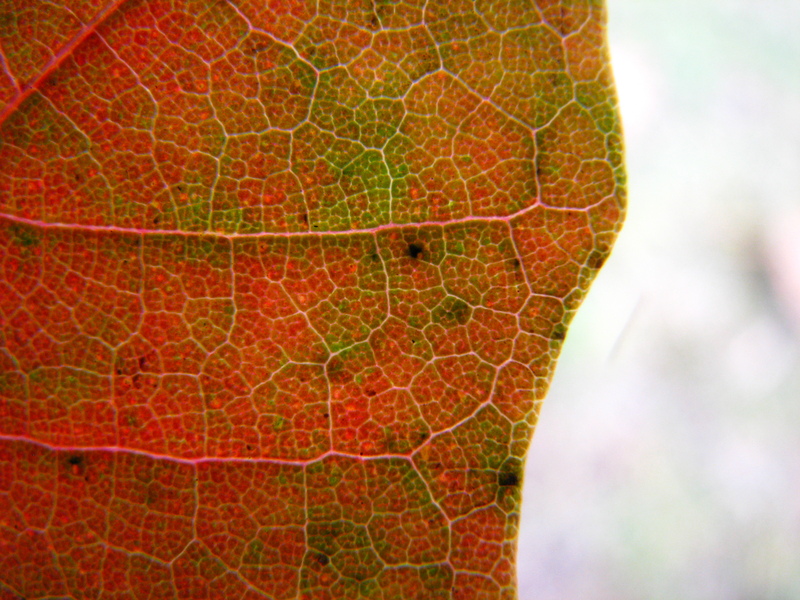 A close look at the leaf structure reveals the vascular network used to transport nutrients and waste products into and out of the leaf. 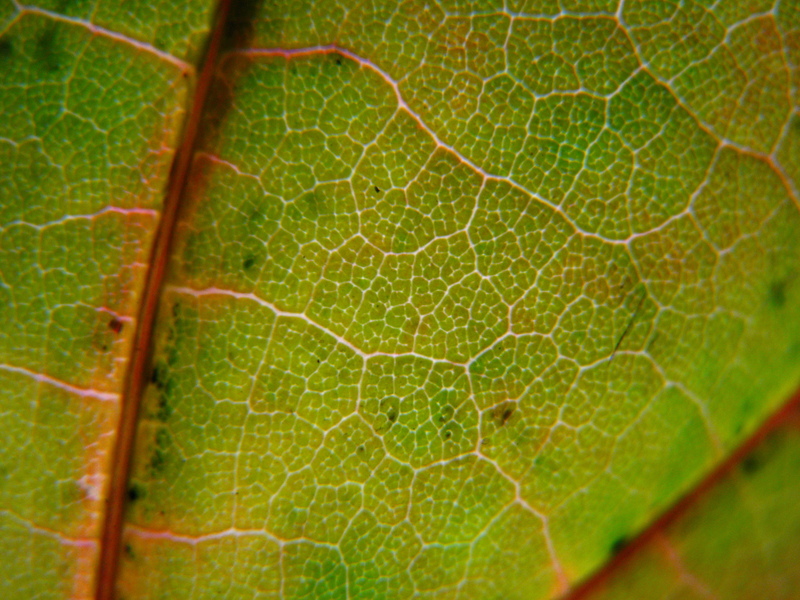 In the leaf xylem transports water and minerals needed for photosynthesis into the leaf. 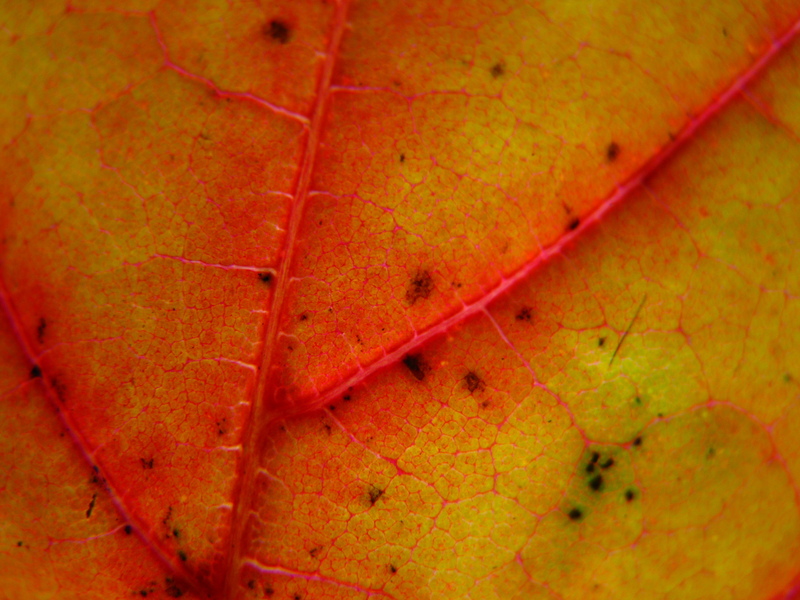 Phloem on the other hand transports sugars produced during photosynthesis out of the leaf. From my woodland wanders in Denmark so far the forests contain primarily beech (Denmark’s national tree), oak, birch and ash. 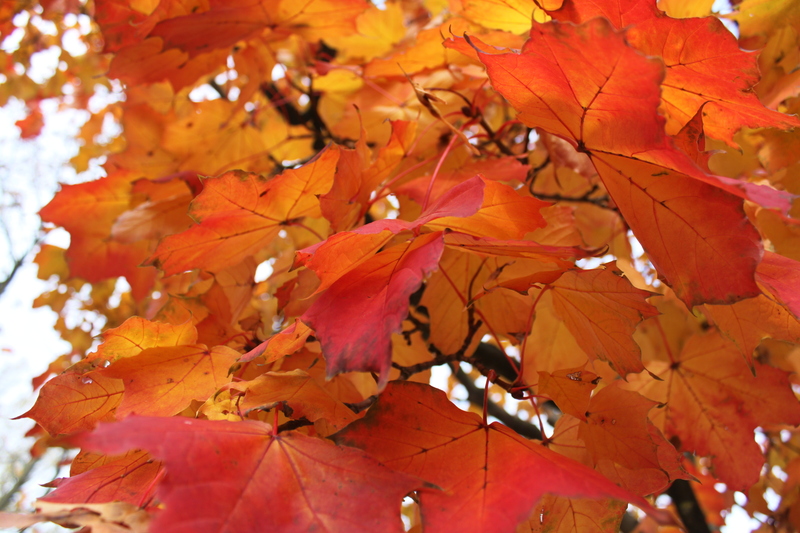 There are ornamental trees lining the streets including London planes, maples and various forms of cherry trees. Interestingly today I came across a tree I had only heard about, the Ginkgo, or living fossil. I took a walk through the Munke Mose (a park near the city) to admire the colourful beeches and stumbled across some strange looking leaves (covered in water!). 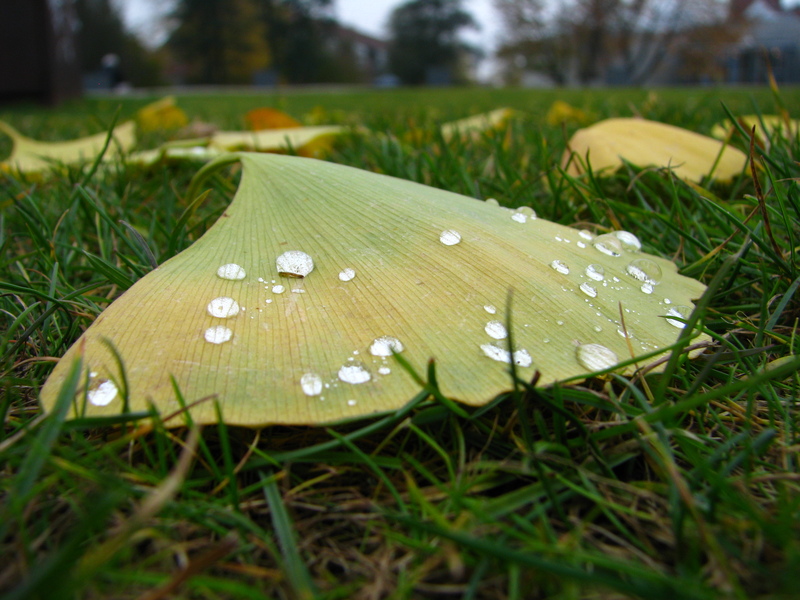 The ginkgo has fan shaped leaves with veins radiating out into the leaf blade, but not forming a network. It is a unique species of tree with no known living relatives and dates back to 270 million years ago. 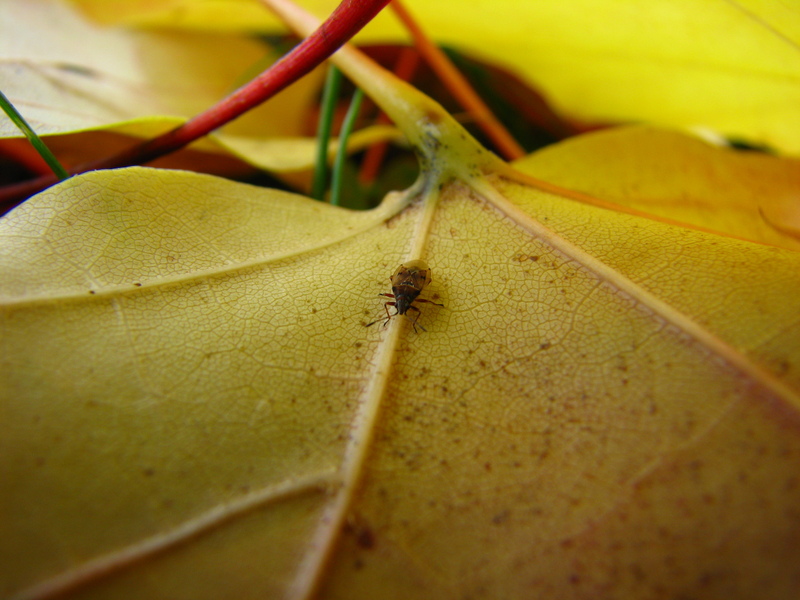 The leaves turn a beautiful buttery yellow colour in autumn.